U.S. President Donald Trump said on Mar. 6, 2019 he would be "disappointed" if reports that North Korea is rebuilding a missile engine test site are true. Trump made the remark at the White House when asked about two U.S. reports that North Korea is rebuilding the Sohae satellite launching facility, which it began to dismantle last year. President Moon Jae-in has reiterated his resolve to further improve South Korea's relationship with Southeast Asian nations ahead of his visit to three regional countries next week. In a special contribution to the Asia News Network released on Mar. 7, 2019, Moon pledged that South Korea and the 10-member Association of Southeast Asian Nations (ASEAN) will expand their partnership to various areas to "usher in a more prosperous and peaceful future." 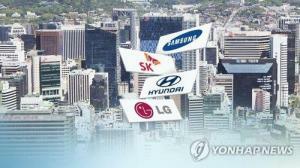 Hyundai Motor Co., South Korea's top automaker, said on Mar. 6, 2019 that it is reviewing an option to suspend one of its five plants in China to counter a slump in its sales in the world's largest auto market. "We are reviewing a set of measures for plant operations in China to stay competitive and secure profitability," Hyundai Motor said in a statement. The Organization for Economic Cooperation and Development(OECD) has lowered its forecasts for South Korea's economic growth for this year and next year to two-point-six percent. In its Interim Economic Outlook released on Wednesday, the OECD slashed South Korea’s growth forecast for this year to two-point-six percent, down from its earlier projection of two-point-eight percent. Seoul City has lifted the ultrafine dust advisory as fine dust levels in the city fell to normal levels on Wednesday. According to the National Institute of Environmental Research at the Environment Ministry, as of 7 a.m. the levels of ultrafine particles in Seoul stood at 29 micrograms per cubic meter on average. Readings above 35 indicate poor air quality. 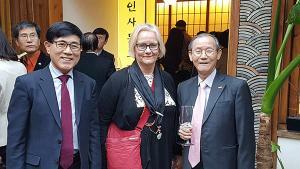 The chief nuclear envoys of South Korea and the United States held a meeting on Wednesday for consultations on the next steps towards North Korea following the breakdown of the second U.S.-North Korea summit in Hanoi last week. The U.S. State Department said on Wednesday that U.S. Special Representative for North Korea Stephen Biegun met his South Korean counterpart Lee Do-hoon and Japanese counterpart Kenji Kanasugi to discuss how to coordinate efforts to achieve the final, fully verified denuclearization of the North. Nuclear envoys of S. Korea, U.S. agree to continue close coordination on N.K. The top nuclear envoys of South Korea and the United States met in Washington Wednesday and agreed to continue close coordination on North Korea, Seoul's foreign ministry said. Lee Do-hoon, South Korean's special representative for Korean Peninsula peace and security affairs, held talks with his American counterpart, Stephen Biegun, in the wake of last week's second summit between U.S. President Donald Trump and North Korean leader Kim Jong-un. The National Assembly is set to open its extraordinary session Thursday to deal with contentious bills largely on the economy and electoral reform. The 30-day session is scheduled to kick off at 2 p.m. as the main opposition Liberty Korea Party (LKP) ended its boycott of parliamentary activities earlier this week. The National Assembly has been idle since January amid tensions over a raft of allegations of government abuse of power, a controversial appointment and a former ruling party lawmaker's purchases of properties in cultural zones. Monthly data usage by smartphones hit record high in Jan. The monthly data usage by smartphones surpassed 400,000 terabytes (TB) for the first time in January, led by increasing use of streaming services and other mobile apps, government data showed Thursday. The wireless data traffic reached 403,812 TB in January, up 1.5 percent from the previous month, according to findings by the Ministry of Science and ICT. The January figure increased 28.7 percent compared with a year ago, and was a 17-fold increase from usage in January 2012, the ministry said. North Korea is believed to be operating uranium enrichment facilities normally at the Yongbyon nuclear complex, South Korea's spy agency was quoted as saying by lawmakers Thursday. "(North Korea's) uranium enrichment facilities were known to be in normal operation even before the recent summit between the leaders of between the United States and North Korea," Suh Hoon, chief of the National Intelligence Service was quoted as telling lawmakers at the closed-door briefing Tuesday. US President Donald Trump said Wednesday he would be "disappointed" if reports that North Korea is rebuilding a missile engine test site are true. Trump made the remark at the White House when asked about two US reports that North Korea is rebuilding the Sohae satellite launching facility, which it began to dismantle last year. South Korea ranked 121st out of 193 nations in the ratio of female legislators to males in its 300-seat unicameral parliament, an international parliamentary association said Wednesday. The Inter-Parliamentary Union (IPU) said there were 51 female lawmakers, or 17.1 percent of the total, in South Korea's parliament as of January this year. U.S. President Donald Trump said Wednesday he would be "disappointed" if reports that North Korea is rebuilding a missile engine test site are true. Trump made the remark at the White House when asked about two U.S. reports that North Korea is rebuilding the Sohae satellite launching facility, which it began to dismantle last year. "I would be very disappointed if that were happening," he told reporters. "It's a very early report. We're the ones that put it out. But I would be very, very disappointed in Chairman Kim, and I don't think I will be." Samsung Electronics has remained silent on a news report alleging that its unit in the Netherlands received $93 million from paper companies based in tax havens via a Lithuanian bank involved in international money laundering schemes. Samsung officials refused to confirm or deny the report, the same stance they take whenever unfavorable media reports surface. Trump's national security adviser John Bolton has told the U.S. media that Washington may ramp up sanctions against North Korea unless it scraps its nuclear program, amid reports that the country has started rebuilding its missile facilities. "If they're not willing to do it, then I think President Trump has been very clear. They're not going to get relief from the crushing economic sanctions that have been imposed on them and we'll look at ramping those sanctions up in fact," Bolton said, according to Fox Business Network. North Korea is restoring the Tongchang-ri missile test site it promised to scrap last year now that a summit with the U.S. has collapsed, according to a report. "North Korea is pursuing a rapid rebuilding of the long-range rocket site" at Tongchang-ri, the Center for Strategic and International Studies said on its website. It bases the conclusion on commercial satellite imagery from March 2. The website 38 North at Johns Hopkins University also said the North seems to have started rebuilding some facilities at Tongchang-ri between Feb. 16 and March 2. 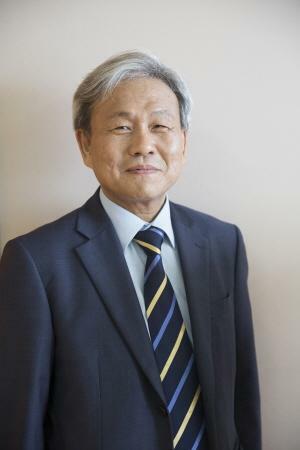 Cheong Wa Dae is backing away from a plan to make April 11 a one-off national holiday marking the 100th anniversary of the Korean government-in-exile since the idea has found no favor among officials. A government official said on Tuesday, "The presidential office considered making April 11 a temporary national holiday this year to celebrate the centennial of the provisional government in Shanghai in 1919. But the idea was dropped even before being officially addressed at a Cabinet meeting because a number of officials expressed concerns." 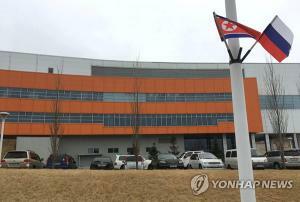 National Intelligence Service (NIS) Director Suh Hoon spoke on Mar. 5 in connection with the suggestion of additional North Korean nuclear facilities during the recent second North Korea-US summit. “South Korea and US military intelligence authorities have a detailed grasp of North Korea’s uranium enrichment facilities and other nuclear- and missile-related facilities and are operating a close tracking and monitoring system,” Suh said. At the same time, he did not specifically disclose the location of any additional nuclear facilities. US Secretary of State Mike Pompeo said he hopes to send a team of negotiators to Pyongyang within a few weeks. The US has expressed its commitment to continuing dialogue even after its second summit with North Korea – held in Hanoi, Vietnam, on Feb. 28 – ended without an agreement. The latest remarks represent a proactive effort by the US to sound out North Korea’s willingness to resume negotiations. 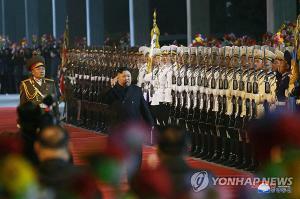 After an 11-day railway odyssey, North Korean leader Kim Jong-un arrived in Pyongyang on Mar. 5. North Korea’s state-run newspaper the Rodong Sinmun said in a front-page story that Kim had “returned from a distant journey of more than 20,000 ri [7854.54km] after successfully completing a second summit with the US and a visit to the Socialist Republic of Vietnam.” The newspaper described Kim’s 11-day trip as his “tireless activity overseas [. . .] on behalf of the eternal prosperity of the fatherland, its future, and the peaceful and happy lives of the North Korean people.” The newspaper also ran four photographs showing Kim smiling and waving at the crowds gathered to welcome him at Pyongyang railway station. South Korean President Moon directed his staff on Wednesday to “discuss with China to come up with emergency measures to minimize the impact of the fine dust from China.” “The president said in a teatime session with his staff this morning that we should work together with China to enforce joint emergency measures for heavy fine dust weather,” said presidential spokesperson Kim Eui-kyeom. The Ministry of the Environment will prepare to promote artificial rain with China. Hyundai Motor has unveiled the new eighth-generation 2020 Hyundai Sonata, its representative sedan model. The new Sonata, which was dubbed “DN8” during its development stage, has been completely revamped from its previous model Sonata LF launched back in 2014. Expectations are high for the new Sonata as it is expected to help the company recover lost sales, which fell under the 70,000 mark last year, and boost overall performance of the company. Jeff Bezos, founder and CEO of Amazon, has been named the world's richest person in the world, according to Forbes magazine on Tuesday (local time). Among 2,153 people on the Forbes’ annual world’s billionaires list, there are 40 Koreans, including Samsung Electronics Chairman Lee Kun-hee. Bezos had the net worth of 131 billion U.S. dollars, up 19 billion dollars from last year. Though Amazon’s stock has fallen from its peak of 2,012 dollars a share in August last year, the stock is still worth more than it was a year ago, says Forbes. 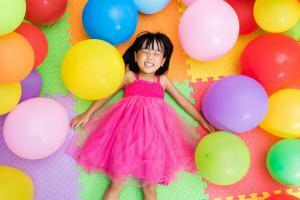 South Korea's per capita income surpassed US$30,000. According to the Bank of Korea on March 5, the gross national income (GNI) per capita recorded US$31,349 last year. Our per capita income surpassed $30,000 twelve years after it surpassed $20,000. A per capita income of $30,000 has been regarded as the standard for the status of an advanced country. As of 2017, only 25 countries had a per capita income over $30,000, and among them only seven countries had a population of over 50 million. The story of South Korea deserves to be viewed as a success story, in which one of the world's poorest nations ranked among the advanced nations in just a few decades. As the highest concentration of fine dust particles lingers in the air for five consecutive days, on March 5, the ultrafine dust particle level reached record highs throughout the nation since the government first began monitoring it. Even in the "clean" Jeju-do Island, the government launched measures to reduce fine dust particles in the air for the first time on March 4. Schools suspended outdoor classes, and many citizens canceled appointments and hurried home. Foreigners visiting South Korea for medical treatments have spent about $14,000 on average per person with patients from the Middle East spending the most, a survey showed Wednesday. According to a recent survey conducted by the Ministry of Health and Welfare on 1,200 foreign medical tourists who have visited Korea to receive medical care, their average spending in Korea amounted to $14,029 per person last year, which includes $6,885 for medical service and $595 for agency commission. South Korea is launching a 12 trillion won ($10.6 billion) scale-up fund to better groom startups over the next four years as well as enabling exceptions for fund-raising for ventures in hopes to stimulate innovation. The government held a joint briefing of related ministries led by Hong Nam-ki, deputy prime minister and finance minister, on Wednesday, and announced measures to spur growth in the information technology sector. The government will expand new venture investment funds to 5 trillion won a year by 2022 and aim to create 20 unicorn startup companies a year valued at 1 trillion won or more.